If you're interested in personalizing scents in candle making, learning how to make fragrance oil blends that are unique and different is the way to go. Creating a signature scent for your candles can be fun, and you'll get to experiment with all kinds of different fragrances. Professional perfumers will tell you that creating a scent blend is an art form, and they're right. There are lots of considerations that go into creating a new fragrance, but don't let that stop you from experimenting. Scents are a personal thing, so if you stumble onto something you really like, the science behind it doesn't matter! Top Notes - Top notes are the light, flashy scents that hit your nose first, but evaporate quickly. Citrus, mint, and bergamot are examples of top notes. Middle Notes - Middle notes have a bit more heft and staying power than top notes. Lavender, tea tree, and juniper are all considered middle notes. Base Notes - Base notes are heavier fragrances that last longer than the other two notes, providing the base for the scent. Patchouli, vanilla, and amber are all examples of base notes. As you consider how to make fragrance oil that is a unique blend, think about which oils will go together from each of the three notes. A fragrance oil blend is just a combination of different fragrance oils or essential oils that mix together to create a new scent. Since these oils can be expensive to buy, you'll want to experiment with just a drop or two at a time until you find a combination you like. 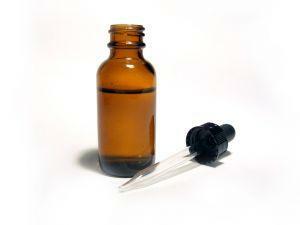 Here's a cost-effective method for making fragrance oil blends. If you're using cotton balls or paper towels, cut them into small squares or pieces just large enough to contain a drop of fragrance oil. For cotton swabs, cut them in half. Place a single drop of fragrance or essential oil on one of the pieces of cotton, paper, or swab half and place it in the jar. Continue doing this with each scented oil you wish to use. If you want to make one scent stronger, use two or three separate pieces of cotton or paper towel with one drop of the same oil each. Immediately record how many drops of each oil you've placed in the jar. This will ensure that you'll be able to duplicate the scent, or change the amounts if necessary. Let the jar sit, uncovered, for a couple of hours, and then smell the combined scent. The fragrance will change as it ages, but you can add more oil at this point if you feel your lighter oils are being overpowered. Cover the jar and let it sit at room temperature, away from direct sunlight, for a couple of days. When you then test your fragrance blend, this will be the final result. While you're experimenting with different combinations of fragrance and essential oils, here are a few tips to keep in mind. Make sure that you use a dropper to place the oil on the cotton or paper towel, rather than trying to pour out just a drop. You'll have a tough time trying to duplicate the exact measurements otherwise. Use a clean dropper for each fragrance. Record everything, from the amounts of each oil to your impressions of the scent. If you need to modify your blend, it'll help a great deal to have detailed notes of each step in the process. If you're trying several different blends at the same time, clearly mark each jar so you'll be sure which one is which. Once you find the perfect fragrance oil combination, think up a great name for it and make it your own signature scent. If you're creating a fragrance for candle making, always ensure that each oil has a safe flashpoint for the type of candles you are crafting.